This story about the creation of Mary Poppins relies on conventional Hollywood narrative and the charm of its leads. (SPOT.ph) When we accept that this film is a fictionalization of events, then we can be swept away by the magic that it creates. It's a fact that Hollywood films feel the need to clean things up, and art necessitates an imposition of structure on what might have happened. The creation and redefining of truth is part of the artistic process, and it's interesting how Saving Mr. Banks concerns itself with these artistic struggles while itself being a product of those same struggles. 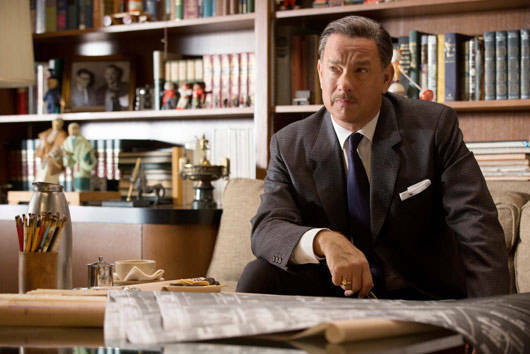 Saving Mr. Banks builds its conflict around the attempts of Walt Disney to acquire the rights to adapt P.L. Travers' books, which would become the classic Mary Poppins. We have two performances that are memorable, albeit problematic for no fault on the actors' parts. Travers is played by Emma Thompson, and she embodies the role with all of the quirks and harshness with which this film wants to portray the character. During the credits, part of the actual recording of the writing sessions is played and you can see that Thompson does a good job of capturing the tone and vocal cadence of Travers. She does seem like a severe character. While I am sure that people like that do exist and are extremely difficult to deal with, the film stumbles with developing her issues and internal conflicts. Travers does not want to let go of Poppins. She thinks that Disney will turn her work and make it dumb. She fears that her work won't be respected afterwards. She worries that the people adapting it do not understand it. Even worse, she finds it quite probable that it will become a frivolous piece of pop trash as a musical with animation. From a creator's standpoint it's easy to sympathize with her. But the problem behind the portrayal isn't so much about the artistic struggle, but the personal struggle. What the film does is it hinges Travers's decisions on her coming to terms with her issues and her past. A good part of the film features flashbacks to her childhood and her experiences with her father, played by Colin Farrell. The father is a dreamer stuck in the real world, and as the flashbacks progress he finds it more and more difficult to reckon with the real world and finds solace in the bottle. While I'm sure that those formative experiences would have informed Travers as a person, the film conveniently pins her character to her hang-ups with that past. Tom Hanks as Disney and Emma Thompson as Mary Poppins author P.L. Travers. While Travers makes getting the rights as difficult as possible, Disney is doing everything in his power to get her what she wants. There are some horror stories about the real Walt Disney, but here we get Tom Hanks. And man, does Tom Hanks turn on the charm. The result is that you can't side with Travers. You wonder what kind of horrible woman would ever turn down this kind, charming man who just wants to take the magic of her book and bring it to a larger audience. What is missing then is a problematizing of the artistic struggle. Rather than focus on that, the movie chooses to fill its time with flashbacks establishing the biographical connections between author and work and establishing how incredibly important and traumatizing it all was to her. While I might quibble with this film on this intellectual level, I have to admit that I did enjoy myself. This movie would be a great movie if it dealt with these important questions of artistic integrity and adaptation. But it is a very fun, very affecting movie to watch. There are horror stories about the real Walt Disney, but here we get Tom Hanks. Credit the performances, from Hanks and Thompson, to supporting players like Paul Giamatti and Bradley Whitford, who bring these characters to life and make us care about them. We come to understand how these characters operate and as they interact we become invested in their happiness. The film illustrated the slow opening up among characters and how they come to understand each other. While it's played with just as much whimsy as a magical Disney flick, it works. A lot of the other magic created is also very effective. One thing that I couldn't stop admiring was the meticulous work done on production design. It is a period piece and the way that the design and art direction have come together to convey the tone is a feat. More magic is created as Travers works with the writers and musicians who are working on the script (Whitford, B.J. Novak, and Jason Schwartzman). There are some great musical sequences that serve as high points throughout the film. The flashbacks featuring the young Travers feel like a total departure from the main narrative of the film. Not only are they shot differently, but they feel like they come from a totally different movie. The story they tell is compelling, but I'm finding that I was on guard because a fair amount of it felt like emotional manipulation. A good part of the film features flashbacks to the childhood of Travers (Emma Thompson). 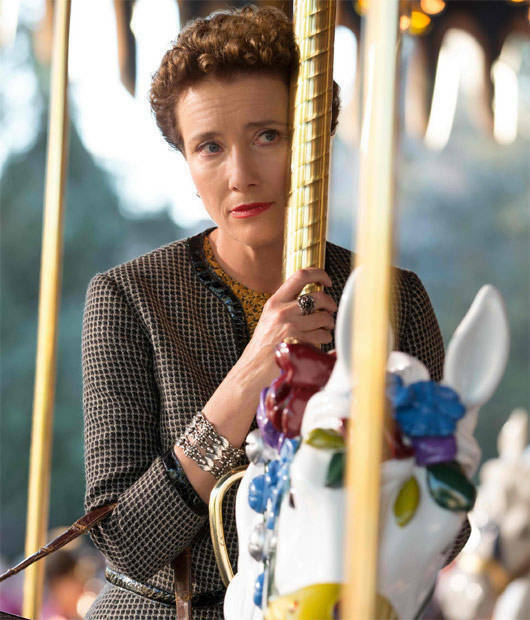 That said, a good amount of Saving Mr. Banks relies on emotional manipulation. But then a lot of movies do that too. If we were looking for an accurate portrayal of the events, this wouldn't be it. If we were looking at an intellectual exploration of the issues, this wouldn't be it either. What we get here is a story told for story's sake. Things are changed for the sake of emotion, for the sake of it being a better story. And hey, it was a pretty darn good story. If you like Disney flicks and you like movies about making movies, this would be something to definitely watch. I might have my own misgivings about certain elements of the film, but those only arose after thinking more about the film. While watching it I was captivated in the movie magic, and the magic of making movies. 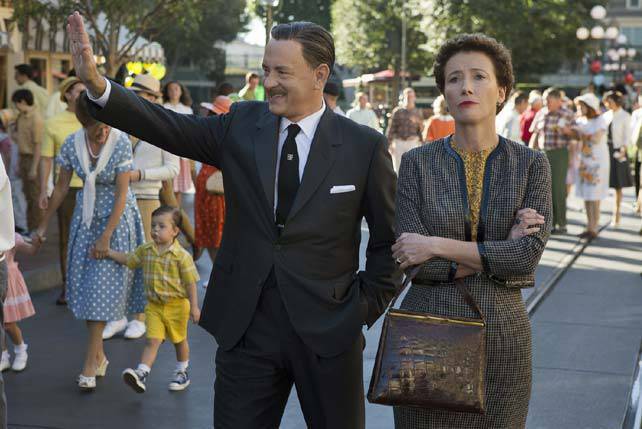 Saving Mr. Banks opens at Ayala Malls Cinemas on Wednesday, February 26.